Early this morning you are picked up at the lobby of your hotel by an Ecocircuitos Staff member guide for the approx. 45-minute drive to Camino de Cruces (Las Cruces Trail). 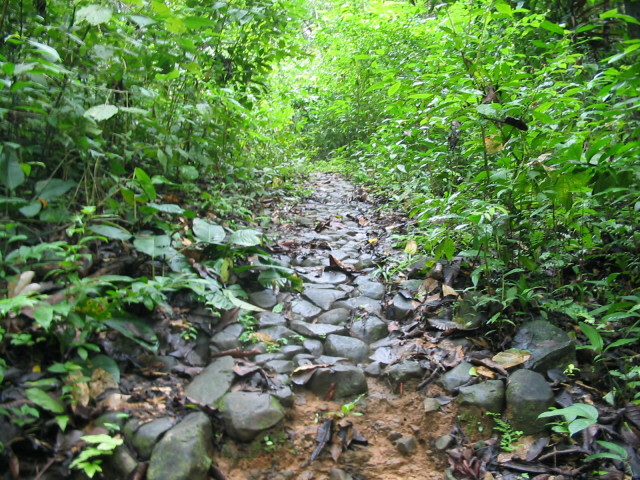 This historic stone trail was built by the Spanish in the early years of the colony to join the Old Panama City, located on the shores of the Pacific Ocean, with Fort San Lorenzo, by the mouth of the majestic Chagres River on the Caribbean Sea. You hike a 9.5 Km (6 miles) stretch of the trail (approx. 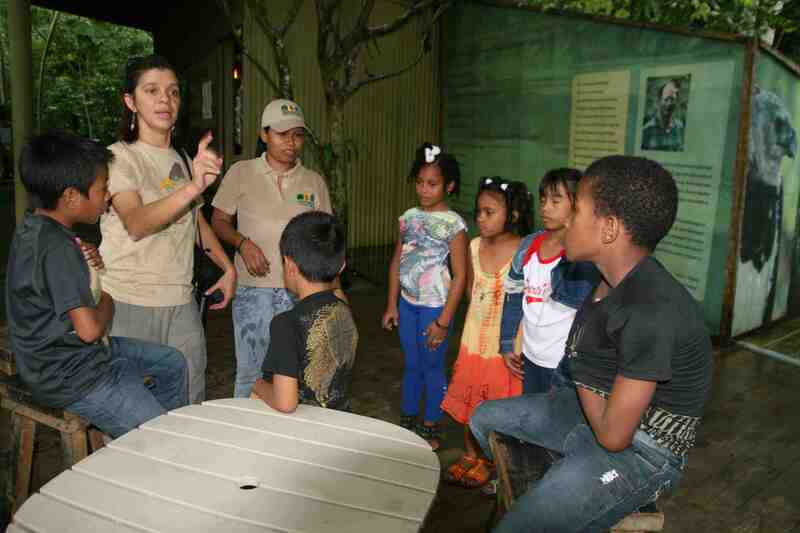 5 hours) that has been protected within Soberania National Park. The mostly flat trail takes you through magnificent rainforests teeming with exotic wildlife and historic landmarks. This road served the Spanish well for more than three centuries. Many treasure trains passed through it as they moved the treasures from Peru and the Pacific to the Atlantic and then on to Spain. Merchandise from Spain, and her colonies were transported to Panamá, which was the center for trade, for Central and South America. During the 1849 Gold Rush in California, the activity on the Las Cruces Trail picked up a large number of 49er’s that used the Panamá Route, to get to California. Be prepared for uneven, muddy and slippery terrain and to get your shoes wet when crossing little creeks along the way. Along the way, you will have the opportunity to spot Green iguana and Three-toed sloth resting on tree branches, White-faced capuchin, Mantled howler monkey, Keel-billed toucan, Hawks, anteaters among other wildlife. Also you will admire large specimen of silk cotton tree, cuipo (Cavanillesia platanfolia), nance, jobo, oak (whose spectacular blossoming in April and May heralds the end of the dry season). After completing the 9.5 km of road you will reach the ruins of the town of Venta de Cruces, by the Chagres River, where you can enjoy a picnic lunch prepared by our staff. This tour can be combine with a kayaking tour to a indigenous villa. After this fantastic historical adventure return to Panama City hotel in the afternoon. Please know that this trail requires good physical condition and will take you through creeks and muddy, slippery and uneven rainforest terrain. You might bring another set of sandals and clothes in your backpack. Ask our guide for a packing list for this great adventure.